Assem is a senior management executive with more than 30 years experience in Investment Banking, SME development & Entrepreneurship, Financial Institutions, Corporate Governance, Strategy Advisory and Change Management with a special focus as well as extensive network in Egypt and the GCC. 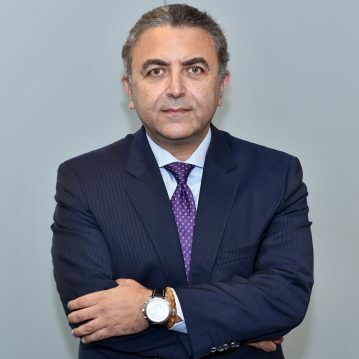 He is the Chairman of Credit Agricole Egypt and CA Foundation for Development since 2017 as well as the co-founder of FACT, a prominent provider of Investment Banking and Corporate Finance advisory throughout the MENA region since 1999. He continues to advise a number of GCC Government bodies on Investment turnarounds and Excellence Programs. Assem has held various senior roles, in Egypt and across 4 continents, including Chairman of the General Authority for Investments (GAFI), Chairman of the Gulf of Suez Special Economic Zone (SCZone), MENA Head of Investment Banking & Structured Finance at Barclays Bank, Advisor to the Chairman of the National Bank of Egypt, Process Manager at Procter & Gamble as well as Senior Manager at Accenture. He has held various Board roles with National Bank of Egypt, National Investment Bank, Social Fund for Development, Egyptian Competition Authority, Industrial Development Authority, Egyptian Institute of Directors. He initiated a number of SME & Entrepreneurship Investment Vehicles including; BEDAYA & AYADY achieving financial inclusiveness and promoting outreach to youth and less-privileged territories within Egypt. He holds a BSc. in Engineering and an MBA from the American University in Cairo.